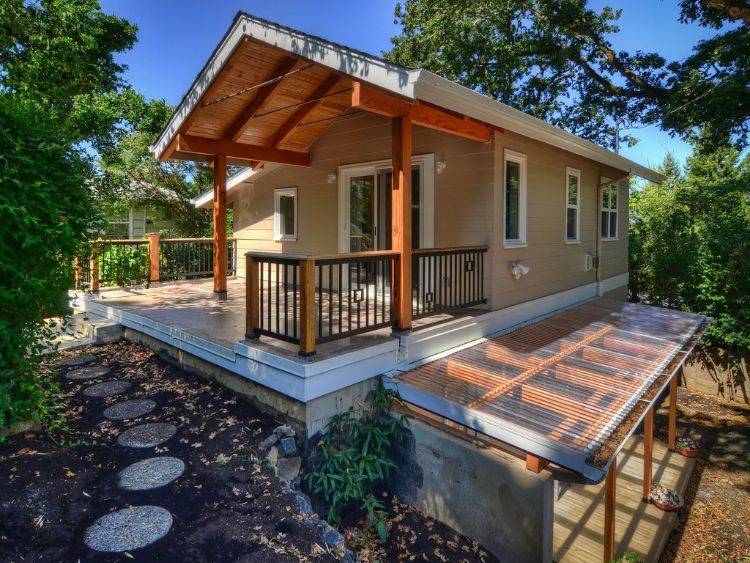 For some people inhabiting tiny homes, outdoor living space is an absolute essential — especially if you live with others! 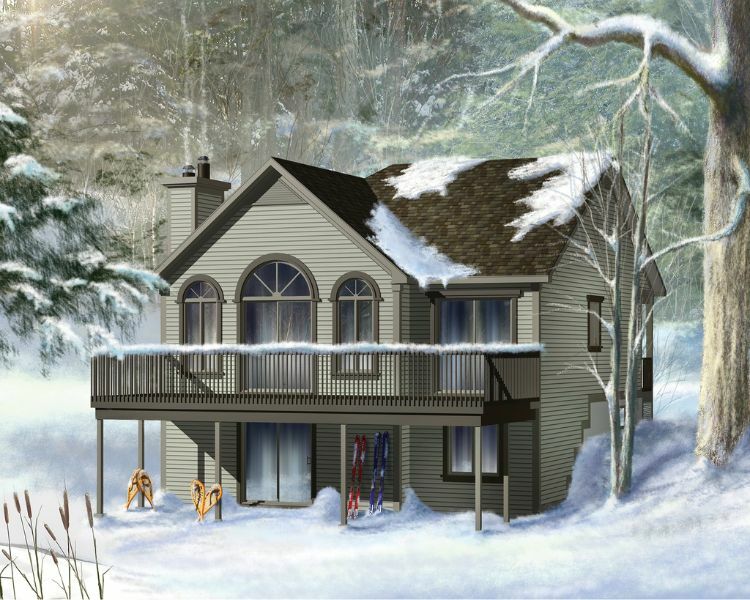 Front decks and patios are all well and good, but nothing beats the privacy and comfort of a large back deck. 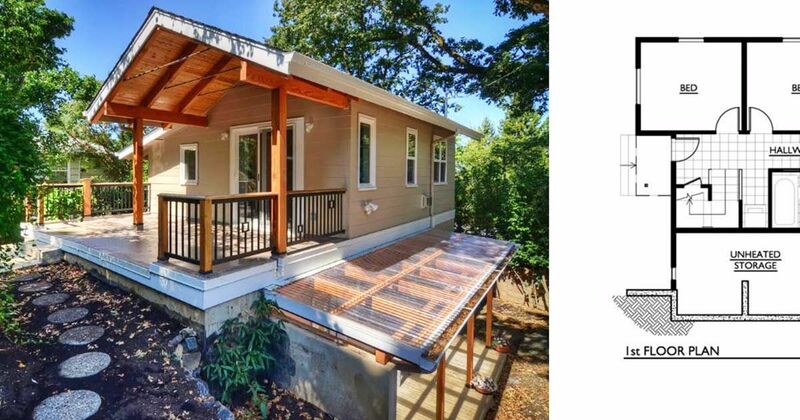 Even if you live in a busy neighborhood, having your own back deck can feel like having a private oasis. Back decks are the perfect spot to host summer barbecues or enjoy a leisurely weekend breakfast away from the prying eyes of your neighbors. 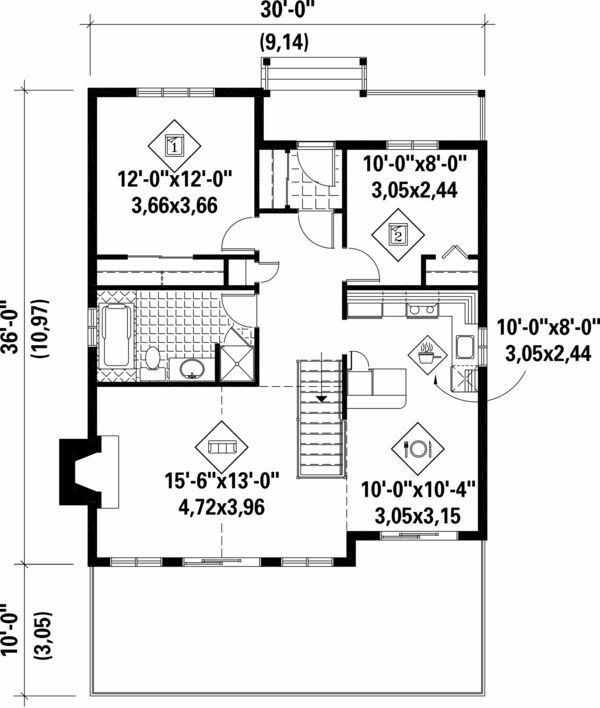 Measuring a fairly spacious 992 square feet (92 square meters), this home from Houseplans would be great for a family. A small mudroom with a coat closet is located right inside the front door, and the home's two bedrooms are off to either side. Continuing straight ahead, a bathroom with a tub is on the right side. 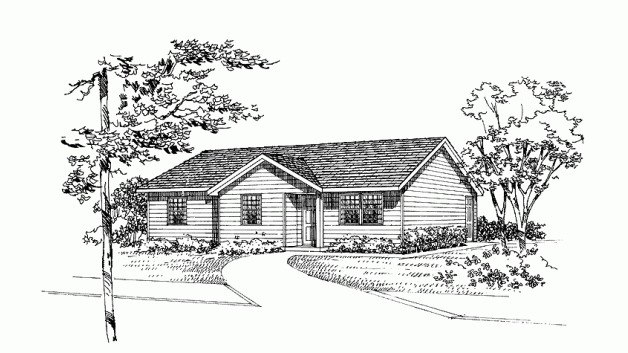 The remainder of the home is taken up by an L-shaped kitchen, a dining room and a large living room with a fireplace. The back deck is accessed through sliding glass doors in the dining and living rooms. 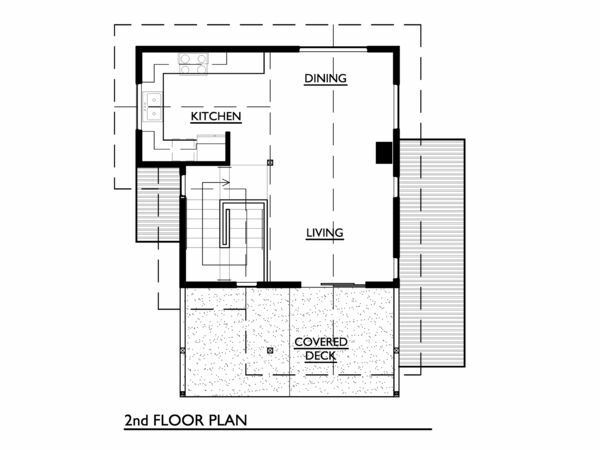 Coming in at 982 square feet (91 square meters), this design from Floorplans features a two-car garage on the right side. 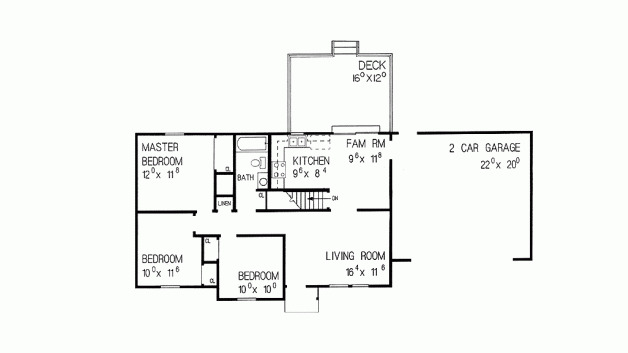 The front door opens into the living room, behind which are the family room and the kitchen. The back deck is accessed through sliding glass doors in the family room. 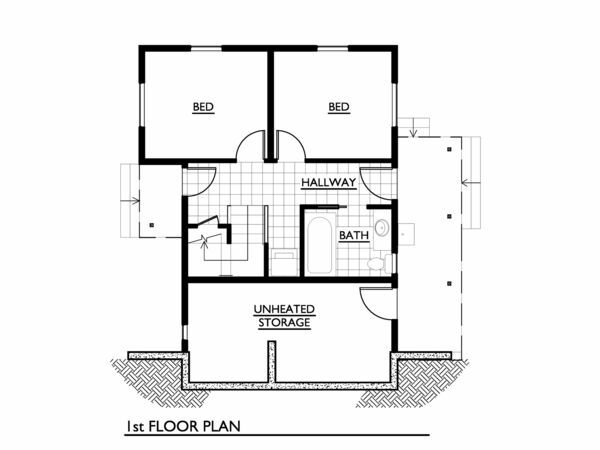 On the left side of the home, a small hallway leads to three bedrooms, a linen closet and a bathroom with a tub. 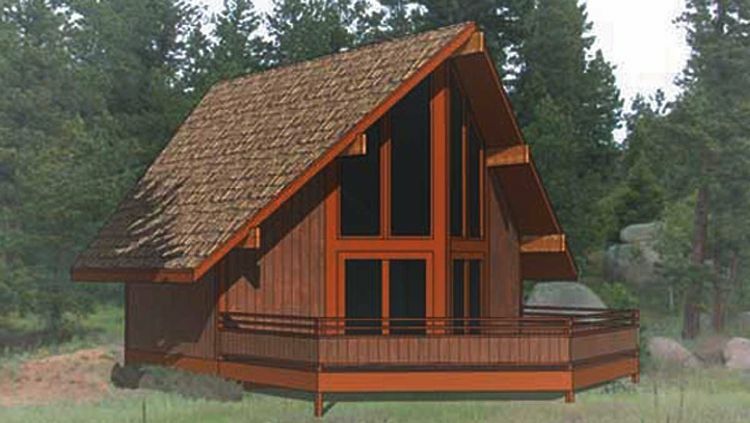 This cozy cabin from Houseplans measures 840 square feet (78 square meters). There is a tiled entryway right inside the front door, which provides access to the bathroom as well as a small guest room or study. The eat-in kitchen is off to the right, open to the spacious living room. Here, sliding glass doors open onto the deck. 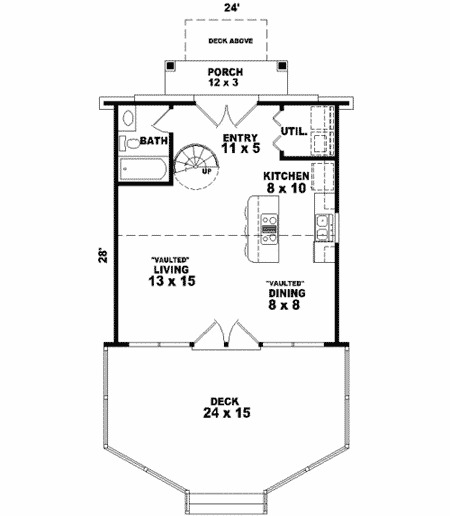 The master bedroom features plenty of built-in storage, and it is accessed through a door in the kitchen. 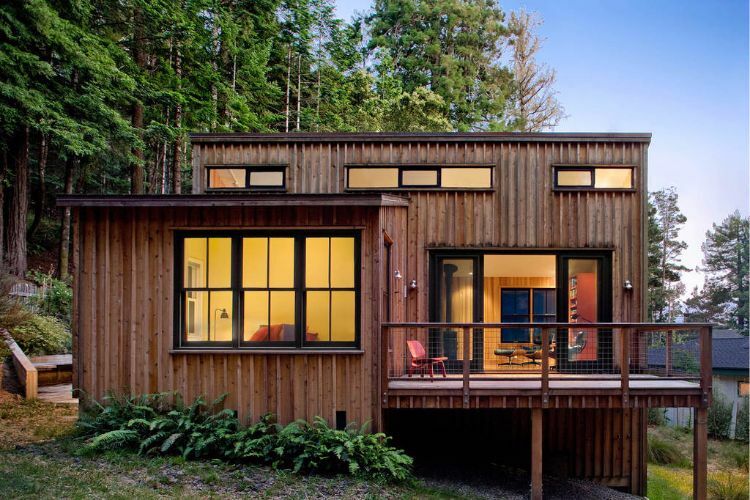 Coming in at 659 square feet (61 square meters), this uniquely shaped home from Architectural Designs has large prow-shaped windows that flood the interior with natural light. 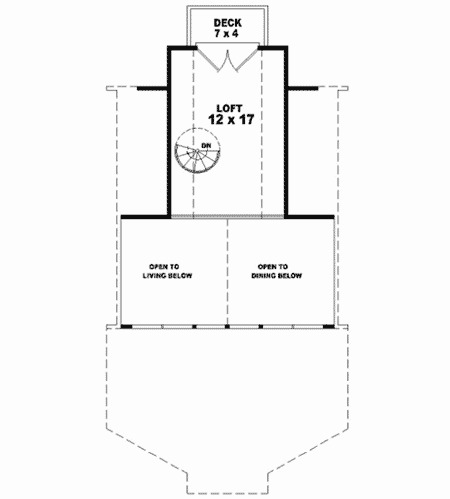 At the front of the home, the door opens into an entryway with a triangular coat closet. The bulk of the first floor is taken up by the kitchen and a large living room with a freestanding fireplace, while the master bedroom is at the very front of the home. 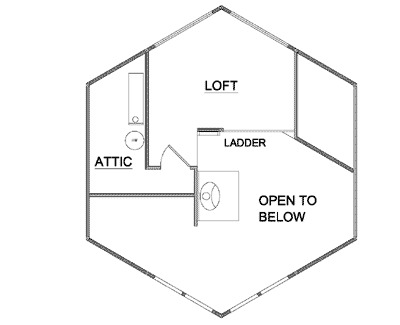 A ship's ladder leads to the loft upstairs, which includes a large storage space. 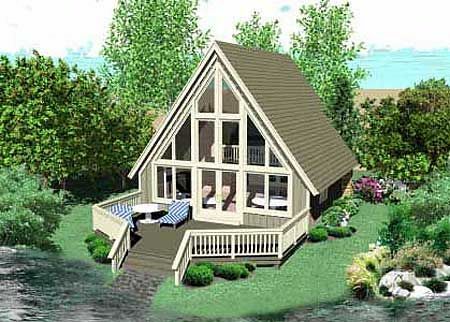 This cozy cottage from Houseplans measures exactly 1,000 square feet (93 square meters). 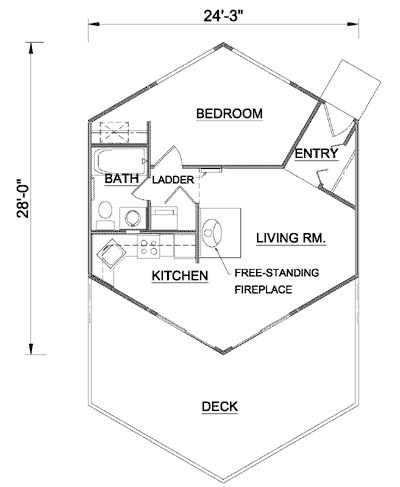 Two bedrooms and a bathroom are on the first floor, and there is a large unheated storage space here as well. A staircase leads to the main living space on the second floor. The dining room and living room are on the right side of the home, and sliding glass doors here lead to a large covered deck outside. A U-shaped kitchen rounds out the design. 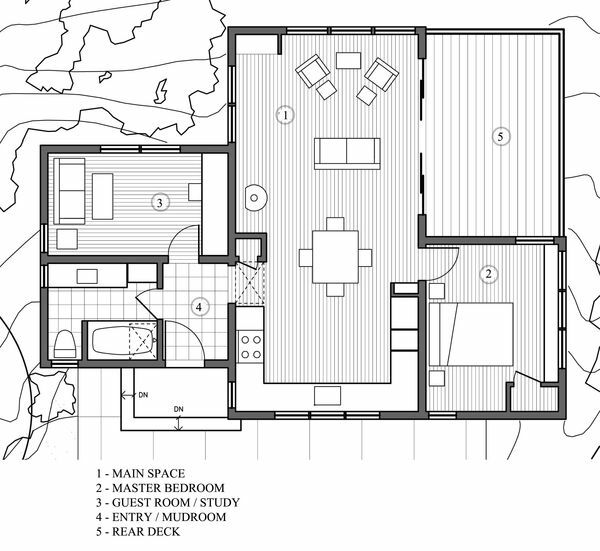 Measuring 734 square feet (68 square meters), this home from Architectural Designs has a huge back deck with double doors that provide access to the open-concept living room, dining room and kitchen. The entire space is illuminated by large windows, and the kitchen features an island with an eating bar. Double doors are found at the front of the home, and a utility closet and the bathroom are on either side of the entryway. A spiral staircase leads to the sleeping loft upstairs, which boasts a private deck and is open to the living space below.